Here is a cute little project for any person who enjoys sewing. It doesn’t matter if you’re a professional or a novice, this could be a fun project to take on. It’s simply and easy to finish. You will definitely enjoy making your pillowcase your own. You can customize it buy adding different accents onto it and also using various materials and designs. You can make your pillowcases fit any décor or design that you need it to be. These custom made pillowcases sewn by hand can be a nice gift for various occasions. You will find instructions below for a single set of new pillowcases. 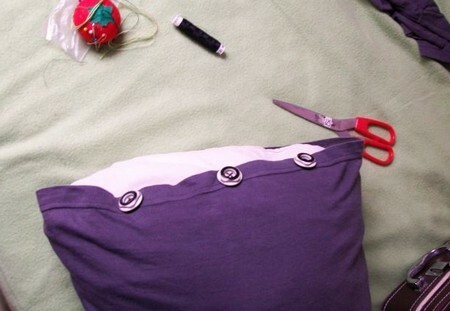 Here is how you can make a pillow cases. Read on for more information. Determine what the size the pillowcase set will be. Buy the length of fabric needs and the thread that is the same color. Take teh material and use the measuring tools to cut off the appropriate size of cloth for each pillowcase. Take your time with this step. You will need to be as accurate as possible to get the proper fit for the pillowcase at the end results. Take the cut fabric and fold in vertically. The edges of the cloth should face the inside of the material. The result is that you will have a long section of material. Use the thread to close the material on the outside. Go along the full length and also sew along the perimeter of the shortened section. Reach inside the pillowcase and turn it right side out. You should be able to see the basic shape of your new pillowcase at this point. You can now you a decorative stitch along the perimeter of the open sides of the material. This will prevent your pillowcase from fraying when you wash it. Also, be careful not to sew the upper part of the new pillowcase shut. Fold the material of the open part of the pillowcase down facing the inside part of the pillowcase. This should give you a ½ inch hem. Now press the fold with an iron. Sew a straight line to secure the hem. Now, fold down the material facing the inside of the pillowcase. It should measure about four inches. Pin this hem down. Then, sew around the lower side of the pillowcase with a top stitch. 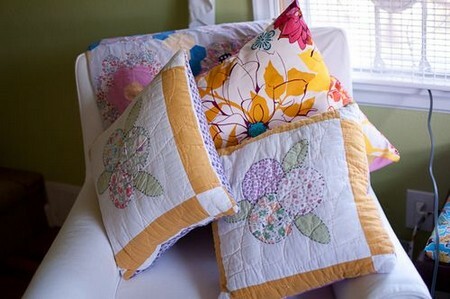 You may now add some ribbon or even lace to add some flare to your new pillowcases. You can play with mixing both colors and materials for your extra special additions.